There are 17 posts filed in Instructional ( this is page 1 of 2). Shot shaping is an important part of the game. Some people hit draws or fades naturally. Your natural shot is the one you hit without making any adjustments to stance or swing. Top professionals typically can hit draws or fades at will to gain the proper position on the fairway, or to land the ball at a desired spot on the green. The below videos are very informative and show how you can hit those shots. Have Trouble Hitting Irons From the Fairway, But Not the Tee Box? Here is a common problem which a lot of amateur/ beginner golfers have. They find that they can hit off the tees fine, but struggle hitting off the fairway/ range mat. Here are a few tips to help with that. I recently posted about repairing pitch marks. The next installment in this series is how to correctly rake a bunker. Here is another popular thing I see on public courses – people hit into a bunker and are too lazy to rake it after themselves. Again it just takes a few seconds and is done as a courtesy to fellow golfers. Here is a video to show to to correctly rake a golf bunker (also known as a sand trap in the USA). One of my biggest frustrations is when I reach the green and find it is full of pitch marks. It takes less than 10 seconds to repair. Out of courtesy to other golfers, please repair your pitch marks. This short video gives a demonstration in case you need some guidance. Note.. if you do not have a pitch fork a regular tee works. You can add power to your golf swing from increasing your hip rotation. A fast and full hip rotation adds club-head speed which translates to increased distances to your shots. A good example of someone who has excellent hip rotation is Rory McIlroy. He is a man of average stature – 5′ 9″ and 161 lbs. But hits the ball far and at speeds of around 175 mph. Rory has a hip speed which is 25% faster than most other professional golfers. His hips rotate 720 degrees per second on the downswing. Other professional golfers average about 550 degrees per second and most amateurs 300-350 degrees per second. Faster hip rotation = longer driving distance! The best golfers in the world have a set pre-shot routine. It is good for a consistent game to create your own pre-shot routine. When you practice at the range you should go through this routine on each shot; so that it mimics your game out on the course. I came across this video and decided to share. I like the way that the Pro (Rick Shiels) visually describes the routine with the different boxes. The pre-shot routine in putting is slightly different to your iron shots. As with your “hitting” pre-shot routine you should look to replicate the exact same routine for all putting strokes, whether practicing or on the course. After a while it will just become natural and you will do it automatically without thinking about it. Top tip: most modern golf balls have some kind of line printed on them. Align the line on the ball with the direction you want to putt. Then when you look down at the ball it helps you with your alignment. The First Tee, a youth development organization, impacts the lives of young people by providing educational programs that build character, instill life-enhancing values and promote healthy choices through the game of golf. Supported by golf’s major organizations, including the LPGA, Masters Tournament, PGA of America, PGA TOUR and USGA, The First Tee has reached more than 7 million young people since its inception in 1997 and reaches youth on golf courses, in schools and on military installations. The number of golfers in the USA (playing 8 rounds or more a year) has been steadily dropping by 3-4.5% each year, since 2006. With golf in the decline, it is important for the game that new people from all backgrounds are introduced to the game. Although the First Tee program is golf based, it teaches valuable life-skills. The First Tee is open to kids aged 7 to 14. 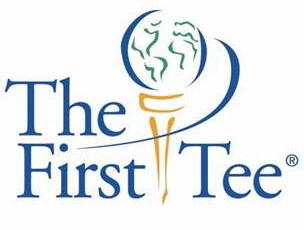 If you are interested in enrolling or helping out, more details can be found on their website – http://www.thefirsttee.org. The LA local chapter has a Facebook page – https://www.facebook.com/thefirstteelosangeles. The majority courses featured on my website are ideal for people (kids and adults) starting out, due to their short nature. You do not have to drive the ball 200+ yards to play most of these par 3 golf courses. De Bell par 3 in Burbank has a longest hole of 95 yards for example. It is important to mark your ball in order to avoid any confusion on the course. You can get special monogram devices or stencils, but I find they do not work great and the ink usually runs. I personally just put a dot on the ball using a gold sharpie.